ALLENTOWN, Pennsylvania -- A 45-year-old man managed to sign a 16-year-old girl out of her school 10 times in the last few months, and now the two are missing, police said. 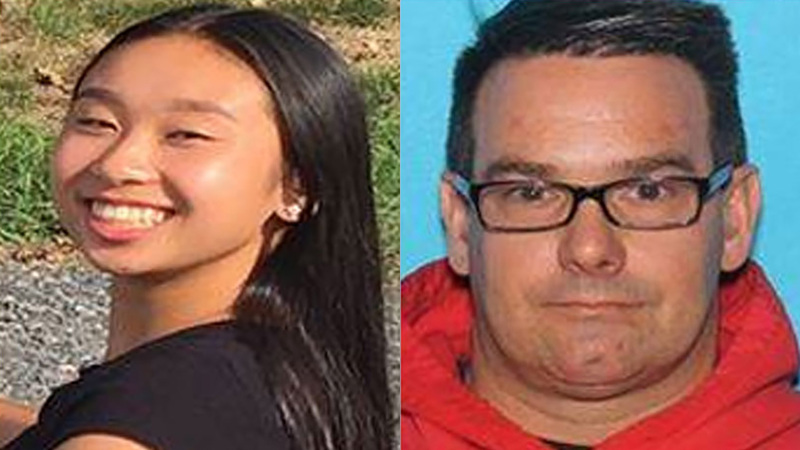 Allentown police issued a missing person alert Wednesday for Kevin Esterly and Amy Yu. A warrant for Esterly's arrest for interference with the custody of a child also was issued Wednesday, according to the Allentown Morning Call. Amy's mother called police on Feb. 9 to report Esterly had signed her child out of Lehigh Valley Academy earlier that day without permission, according to court documents obtained by the newspaper. The mother called police again on Feb. 15, and officers arrived to tell Esterly and his wife, Stacey, to stay away from the family's home. It wasn't clear in the court records why the couple were there. Police interviewed the teen a few days later, and she told them Esterly had signed her out of school about five times. However, investigators checked the Bethlehem charter school's records and found Esterly signed Amy out of school 10 times between Nov. 13 and Feb. 9 without her parents' permission. A call seeking comment from the school wasn't immediately returned Thursday. Lehigh Valley Academy is an authorized International Baccalaureate school that is "committed to developing young people into active, knowledgeable and caring members of a world-wide, diverse society," according to its website. On Monday, Amy's mother reported her as a runaway. Police contacted Stacey Esterly, who told them she last saw her husband at 6 a.m. that day and that he'd taken personal documents and withdrawn $4,000 from her account. No phone number could be found for the Esterlys. Police say Amy and Kevin Esterly, who works as a concrete contractor, had a "secretive relationship." They were last seen Monday near Amy's parent's home in Allentown and might be in Esterly's 1999 red Honda Accord.